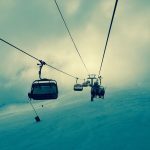 Ski Injury | Denver Trial Attorney Blog | Leventhal & Puga P.C. In the past few months, our trial lawyers at Leventhal & Puga, P.C., have made headlines for representing victims injured at ski resorts. In one case, a woman passed away after being ejected from the Quick Draw Express lift at Granby Ranch in Colorado; in the other, a man was confined to a wheelchair due to negligent medical care after a snowboarding crash at Keystone Resort in Colorado.